Simon Xi, Ph.D., has over 15 years of computational biology and genomics research experience in both industry and academic settings. He leads the Chemical Genomics and Integrative Biology (CGIB) function in Computational Sciences at Pfizer, with a mission to unlock the therapeutic potential of genomics research for drug discovery. His group has been developing both genomics experimental and computational platforms, and pioneered novel genomics approaches for a range of drug discovery applications in target discovery and chemical biology. 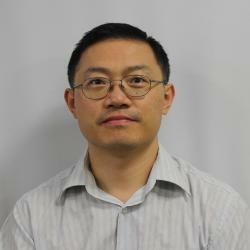 In addition to Pfizer internal responsibilities, Dr. Xi is a Principal Investigator in the NIH GTEx consortium where his research focus is on understanding the tissue-specificity of gene expression and alternative splicing in large human cohorts and their contributions to human disease.